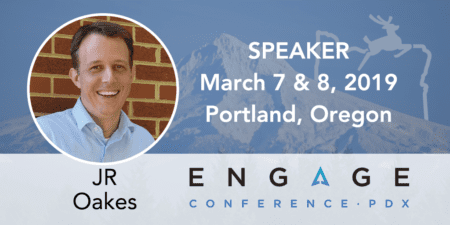 JR Oakes will be speaking on SEO at Engage which will take place March 7–8 in Portland Oregon. For more information or to purchase tickets, please click here. Studied Industrial Design at NCSU. Became an architectural glass artist for 10 years where we designed and executed beautiful work for the Army, SAS, Veteran’s memorials, Coach K, Lexmark, NCSU, etc. I was always a geek and developed websites on weekends and transitioned into development upon the birth of my first child. I was asked to lead SEO for a mid-sized agency after a year as the lead developer. 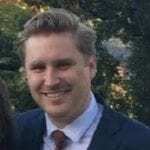 I moved into the Director of Strategy role within a year and then fostered a love for data science and machine learning and wanted to run analysis on huge sites. I moved to Adapt because they are very respected in Technical SEO and were aligned with my goals of automation and using large data sets for competitive insights. 2) What SEO Tools do you feel are mandatory for any serious SEO provider. Ahrefs, Moz, GSC, and SEMRush are where I spend most of my time. I also like Sistrix for high-level visibility. There are really too many to list, but we really are more interested in how we can use the API of these tools to provide unique value, so I have always been a proponent of, especially technical SEOs, using tools like R or Python to leverage API data to tailor you research and analysis for the unique needs of your client. 3) What aspects of SEO haven’t been able to be successfully automated yet? I don’t think all aspects should be automated. There are things that data won’t tell you and that lose humanity if you try to automate. I strongly respect writers and designers as experience creators and story-tellers. I have always had a fundamental concept that SEO should never harm UX. We mostly use automation to gain insight that we share with others to help them understand, directionally, where to focus. We automate other areas, only where the experience is additive for the users.